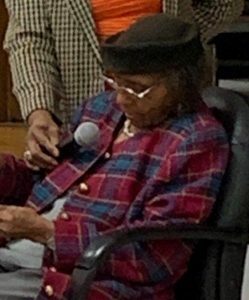 The treat was that 100 year old Lessie B. Green visited and read the book the 100th Day of School. Students learned that a lot has changed in nearly 100 years. Cars, telephones, televisions, and of course computers. According to the gazette, Lessie was quoted as saying,”We went to school when you finished eighth grade. you had finished high school in those days.” Lessie attended Richmond then went to Ashdown School, which was considered junior college back then. Maybe one of those elementary students can return the favor to some students around the year 2112. To find out everything that’s going on at the Ashdown School District check out their website.